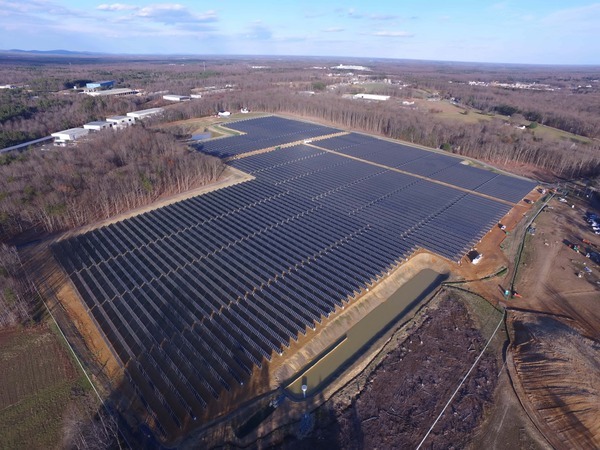 Located along the Interstate 64 corridor, the Martin Solar Center is one of two projects totaling 10 megawatts (AC) commissioned in 2017 for CVEC and powers roughly 600 homes in rural central Virginia annually. Together, the twin facilities combine to make up the largest solar project in the state for an electric distribution cooperative. CVEC purchases the projects’ output under a 25-year power purchase agreement, while Coronal Energy owns and operates the facilities. 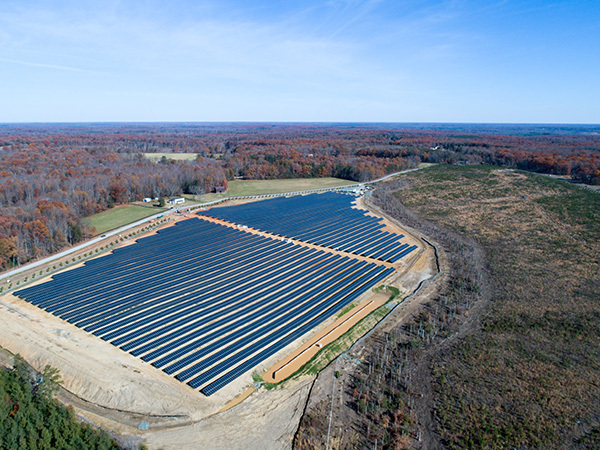 Located along the Interstate 64 corridor, the Palmer Solar Center is one of two projects totaling 10 megawatts (AC) commissioned in 2017 for CVEC and powers roughly 600 homes in rural central Virginia annually. Together, the twin facilities combine to make up the largest solar project in the state for an electric distribution cooperative. CVEC purchases the projects’ output under a 25-year power purchase agreement, while Coronal Energy owns and operates the facilities.